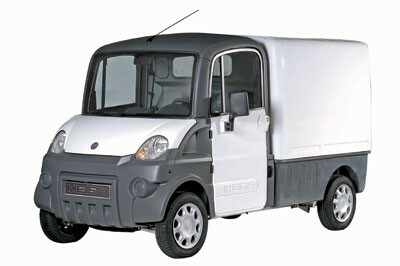 ELECTRIC CARS AND VANS from Dragon Electric Vehicles - 01 874 730 320. 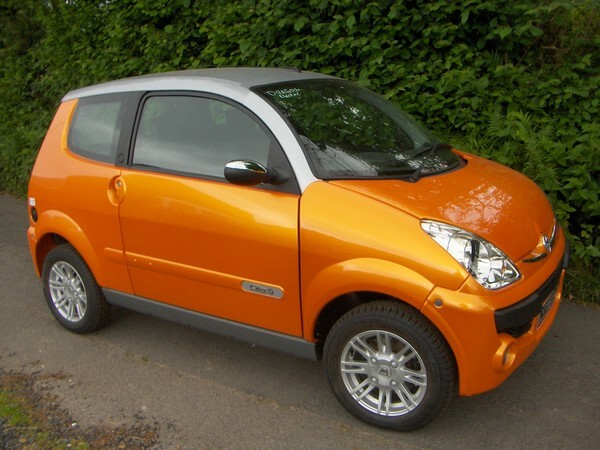 We build high performance sports cars based on the MEV sonic. Performance is normally limited to 100 mph and 0-60 time of about 5 seconds but can be increased to order. Sports car sprint chassis for racing and hill climb events normally supplied with high performance advanced battery. We are dealers for Mega 'e-city' town cars. These nippy, stylish and very economical cars are very cheap to run and ideal for use as a second family car or for urban commuting. For the business user, we can also supply a variety of wide range of vans and light commercial vehicles including flatbeds, tippers and panel vans. We can convert any motorcycle to electric power for use on or off road but they usually have limited range and speed unless high performance batteries are introduced at extra cost. We normally have a few second hand vehicles available for sale or hire. Subaru minivans are popular for load carrying at speeds of up to 60 mph. Road legal quad bikes and buggies are great fun on or off road and can perform light off-road duties. Quads can reach 25-30 mph and buggies over 70 mph. For more serious off-road load carrying performance, we can provide 2-seat 4-wheel drive utility vehicles with a tipping load space ideal for farm or stable maintenance. supply renewable energy items such as wind generators.